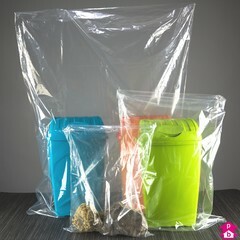 Get 15% off our entire range of PolyMax extra strong bags. Super strong for heavy duty support, with better tear resistance and clarity than comparable low density polythene bags, but 66% thinner meaning they cost up to 25% less. On top of that, we've got an extra 15% off today, so save today with PolyMax extra strong bags! Meets EU standards for food contact. 5 Products. 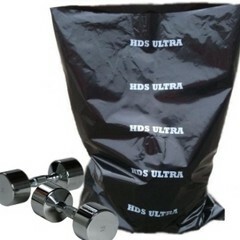 Get 15% off Hercules PolyMax bags for super strength! These clear 150 gauge bags are equal in strength to 250 gauge standard polybags, but are thinner, clearer, more tear-resistant and cheaper - plus there's an extra 15% off today. So don't labour like Hercules to find the strongest bags - get super strong Polymax bags and save today! Meets EU standards for food contact. 5 Products. Get 15% off Goliath PolyMax bags for super strength! These clear 300 gauge bags are equal in strength to 500 gauge standard polybags, but are thinner, clearer, more tear-resistant and cheaper - plus there's an extra 15% off today for some giant savings! Meets EU standards for food contact. 1 Product. 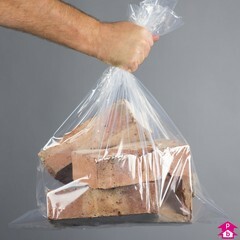 Get 15% off Ultra PolyMax bags for super duper strength! 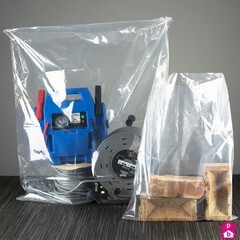 The 'Big Daddies' of the bag world, these 400 gauge black PolyMax sacks are the strongest bags available online and can handle the toughest of jobs. With 15% off today, get Ultra PolyMax bags for ultra-super strength and ultra-super savings! Meets EU standards for food contact.